A friend of mine got a chance to visit the set of the “Price is Right” in California a few years back. He told me the audience rules are simple, always assume you’re on camera and don’t be out of the room when they pick the contestants. A contestant on the show named Tara, must have forgotten rule #2. 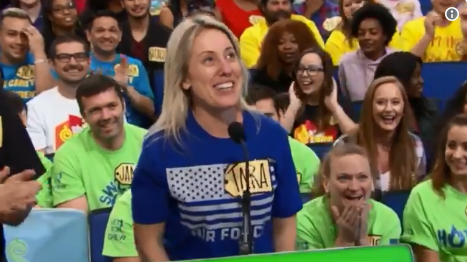 She was in the bathroom when her name was called. After a few minutes of the camera looking for her and the audience chanting her name, she came running out of the back and down the isle. I hope she had an opportunity to wash her hands before giving all those high-five’s on her way to the stage!